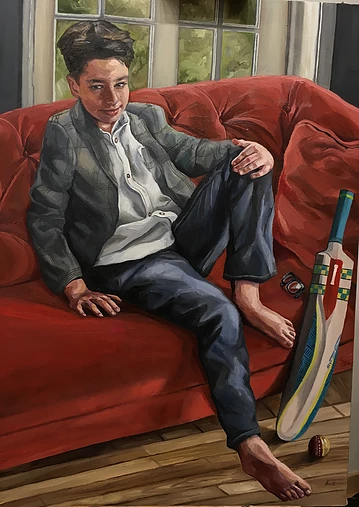 The BP Portrait Award is a prestigious, international portrait painting competition held annually, meant to represent “the very best in contemporary portrait painting,” according to its website. 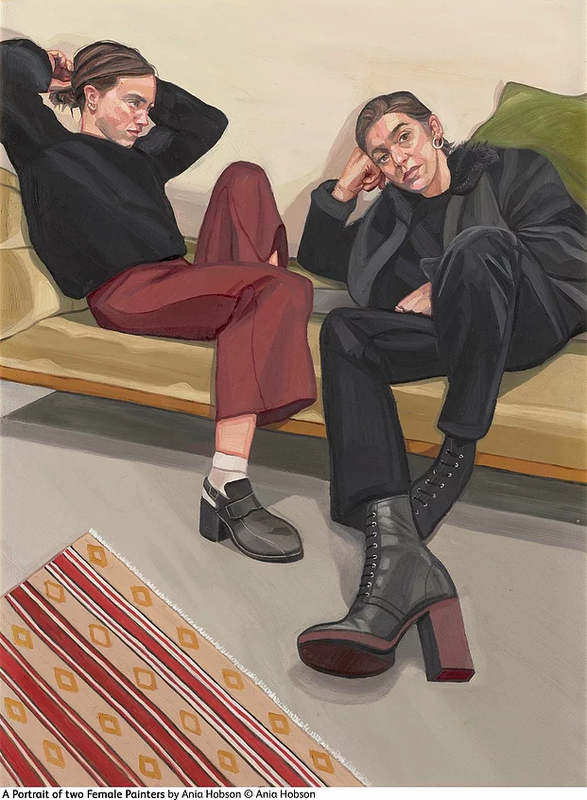 At only 28, Hobson already manages to work full time as an artist, her work focusing heavily – no surprise – on portraits, many life-size. Both my parents are very creative so art has always been something that I have grown up with. Are you an artist full time? If so, what made you decide to pursue it as a career? I work full time in my studio. I realized when I was at university and college that people were willing to buy my work and were asking me for commissions; people were showing interest in my work. It was like a snowball effect, once I made that decision to go full-time things naturally came my way and I had the time to invest in my work. Making the decision to go full time gave me time to create a body of work for exhibitions and competitions, helping me to get the exposure that I needed at the beginning to push my work out there. What kind of commissions do you usually receive? The majority of commissions that I receive are portraits and the occasional dog commission. How would you define your style of art? Do you often experiment with your work? My style of work is very geometrical and composed in a way that the figure interacts with the interior. I look at the shapes and how the colors interact with each other. I try to make this my style, although I do tend to work fairly instinctively. What about your work do you take particular pride in? What do you feel makes it unique? I enjoy working with interesting perspectives. I personally find a very basic pose can be quite boring unless it’s very texturized. I feel getting accepted into the BP Portrait Awards was based on my style using a challenging perspective. The faces in the portraits you paint are very expressive. How do you manage to accomplish that? I work with a lot of impasto, I find this helps in creating an expressive face. Impasto paste is a thick medium that you mix in with the oils. It bulks up the paint keeping the brush marks when applied to the canvas. It’s a great way for mark making and being expressive with your work. Having studied at the Florence Academy of Art, one of the things I came away with was the techniques for achieving skin tones. Do you have a goal you attempt to accomplish with your work? My goal would be to take my work internationally, to continue exhibiting in London Galleries and to build on my recognition as a female artist. You were recently shortlisted for the BP Portrait Award 2018 prize, according to your Instagram bio. How does it feel to receive international recognition? It feels great to receive recognition from one of the most prestigious portrait competitions in the world. 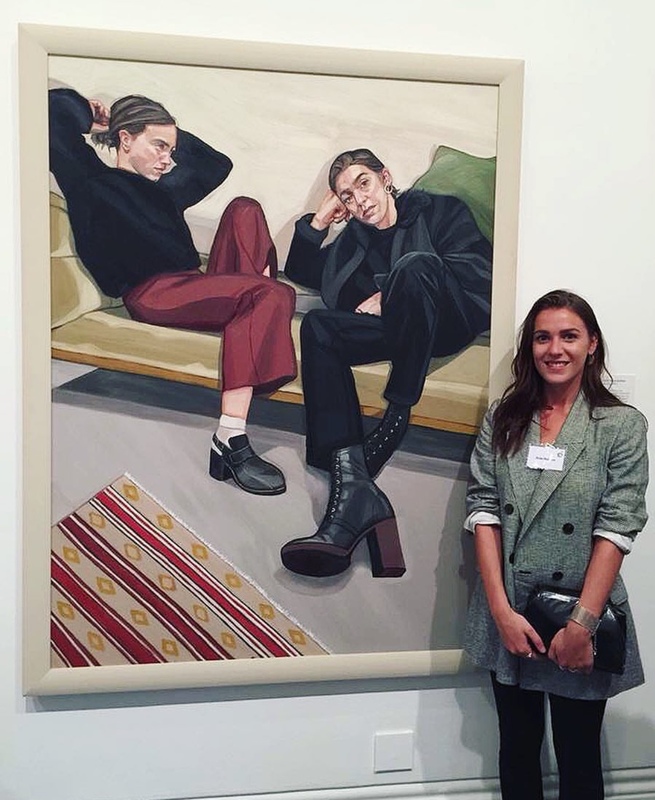 I was awarded the Young Artist Award for my painting of ‘A Portrait of Two Female Painters’. It has already boosted my career and the exposure [from] the National Portrait Gallery and the BP Portrait Awards has already been so great. Do you often enter competitions? What made you decide to enter this one? I have always entered competitions, it’s a great way of getting your work out there and giving your career a boost. It has taken a number of years for me to get to this stage, and I would always advise aspiring artists not to get disheartened if they don’t succeed the first time. It is also a great way of networking and meeting other artists. Once I started making the pre-selection stage I felt that galleries and commissions started to come through very quickly. I would highly recommend entering if you’re an artist trying to get your work noticed. What inspired me to paint ‘A Portrait of Two Female Painters’ was to celebrate female artists. 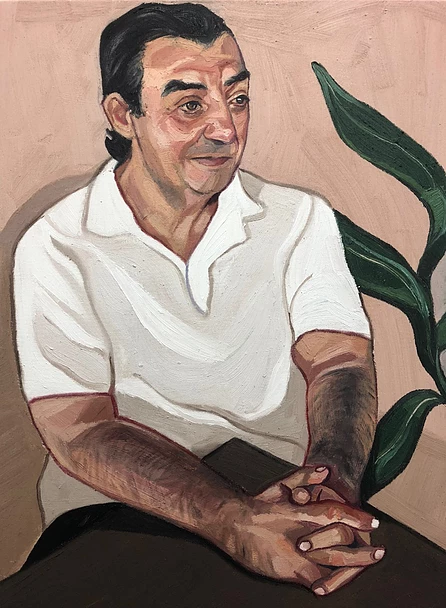 I wanted to show this in the way the painting is composed and with reference to the history of female painters being denied recognition and exposure. I also wanted to introduce a narrative about our relationship as painters, and what It’s like to work in the studio together.